Events are like snowflakes, no two are alike. This is for the couple that wishes to have a Wedding Consultant assist with the planning of the many details for their wedding day. 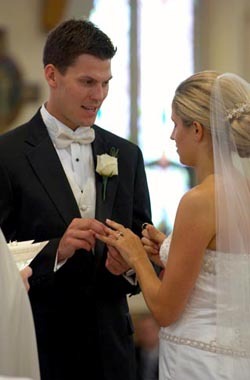 The goal is to provide the Bride, Groom and their families with a stress free planning stage and a Perfect Wedding Day! Recommending, coordinating, and negotiating for wedding related services – ceremony site, reception site, musicians, photographer, videographer, transportation, florists, caterers, decorations, etc… To include participation, if desired, in meetings and planning with all vendors. Unlimited recommendations or suggestions (i.e. creative ideas, budgeting, etiquette, decor, etc…) Attending to all miscellaneous needs to ensure wonderful memories from the engagement to the Big Day!